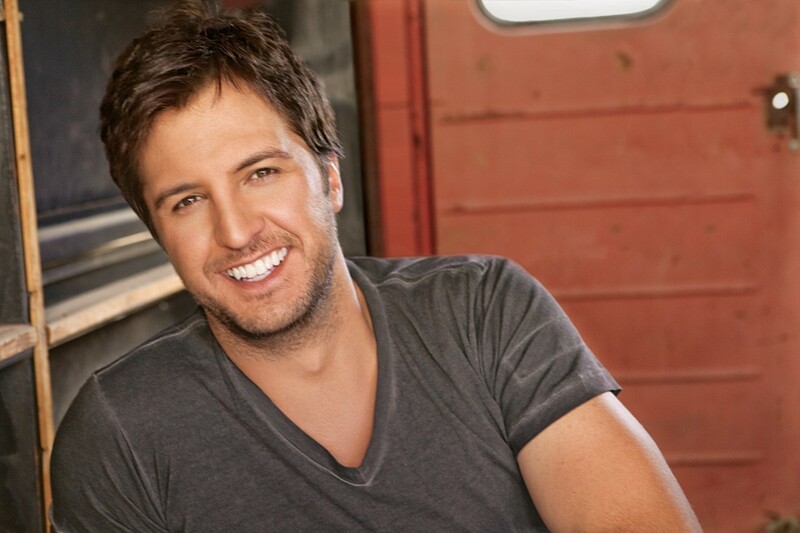 HomeArtsy MamaGiveaway: Tickets to Luke Bryan Concert and Dinner at Burger Life! Giveaway: Tickets to Luke Bryan Concert and Dinner at Burger Life! Note from the mamas: Congratulations to Melissa Williams and Rose Mary Pham, the lucky ladies who won this giveaway! When was the last time you went to a concert? If you were wearing acid-washed jeans at the time or if it was before iPods were invented, it has been way, WAY too long. We’re here to fix that. Our friends at the Walton Arts Center have lined up an amazing spring and summer full of concerts at the Arkansas Music Pavilion. We’ll keep you in the loop about which musicians will be in concert at the AMP and we’ll hook up a few of our readers with free tickets, too. Score! And you know how we mamas like to eat out, right? So we’ll send our ticket winners to a free dinner somewhere close to the concert location, too. This will be a great date night OR a really fun girls’ night out with your friends. Take your pick! This week we’ve got tickets for the Luke Bryan concert on June 1st at 7:30 p.m. at the AMP plus gift cards to eat at one of our favorite Fayetteville burger places — Burger Life. TWO of the mamas reading this post will each get a pair of tickets and a dinner gift card. Woo-hoo! Luke is from Georgia and found fame in 2007 with his first album. His new album (Tailgates and Tanlines) debuted at number one on the country chart AND number two on the pop charts, making it the second highest debut at that time for a country artist. That album went on to sell more than 500,000 copies and is certified gold. Here are some of the songs by Luke Bryan that you might recognize. Click on the title to hear the song. Also appearing at the Luke Bryan concert will be special guests Craig Campbell and Chancie Neal. 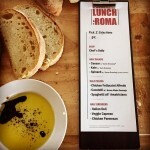 ABOUT THE FOOD: Have you been to Burger Life yet? Because if you haven’t, you’ve seriously got to go check it out. We LOVE the concept because you’re pretty much guaranteed to get exactly what you want the way you want it. 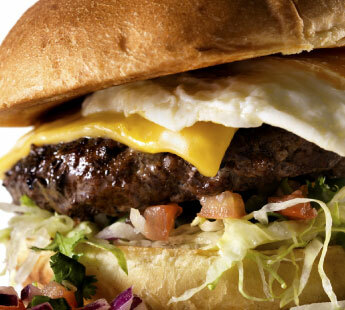 These custom-built gourmet burgers are not your typical order-by-the-number kind of meal. They’re special because you get to decide exactly how it’s made. And be sure to order some of the delicious cheese dip over an order of the french fries. So, so good. The guacamole rocks, too. And don’t even get me started about the milkshakes. You’ll leave there very full and very happy. HOW TO ENTER: To throw your name in the hat for the tickets and dinner gift card, click the orange comment button below and tell us about one of your favorite music concert memories. (I rocked out with Billy Joel and Elton John in college in War Memorial Stadium in Little Rock. Loved that show.) If you haven’t ever been to a concert, just tell us why you want this one to be the first! HOW TO INCREASE YOUR ODDS: We know how powerful “word-of-Mom” truly is. So as always, we reward those who help us spread the word about things going on here at nwaMotherlode.com. Just send an email to your friends and family about this ticket and dinner giveaway and we’ll give you an extra chance to win for each person you tell. Just be sure to put giveaways@nwaMotherlode.com on the CC line of your email so we can give you proper credit. If you don’t want to leave your concert tickets up to lady luck, click HERE for info on how to buy tickets. This is going to be a great show! Giveaway: Tickets to see Rick Springfield in concert! Giveaway: Tickets to Colbie Caillat and Gavin DeGraw Concert! Little House on the Prairie winner! 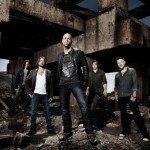 Giveaway: Tickets to see Daughtry in concert! Mealtime Mama: Great Mother’s Day recipes for dad to make! My husband and I recently attended the Zac Brown Band concert. It was our first night away from the kids since we moved to AR four years ago. The first concert my husband and I went to was Vince Gill at the Walton Arts Center. It was such a fun night together! The last concert I went to was the GooGoo Dolls at Barnhill Arena when I was in college. I had lost my voice for serveral days afterward from screaming my brains out…..lol! I would love a date night with my husband! I am a stay at home mom and my husband is a local police officer. We hardly get a chance to get out and enjoy each other. This would give us a great excuse! Last year taking my boys to see Colt Ford and Chris Young. They had so much fun. Then we had pictures taken with Colt after the concert. Any memories I can make like that with them is great. Haven’t been to a concert in years.. would love to go! 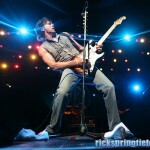 My first concert was Rick Springfield in Springfield, Mo! That’s been just a few years ago! Lol But I have seen him a couple of times in Arkansas in the last few years!! Still love him!! Luke is awesome also. Got to c him at Kansas Speedway last year! Lots of good concert memories. Saw Rod Stewart in Little Rock with a couple of girl friends. He jumped up on a huge speaker and looked right at us and sang to us (maybe because we were the only ones in our section standing up and acting crazy…much to the dismay of the people seated behind us…many years ago). One of my most memorable concert experiences was taking my younger sister and 3 of her friends to see Korn and Staind in Little Rock. I think it was back in 2000. Not that I haven’t gone to concerts since, but that was definitely the most memorable. I’ll never forget when I went with a big group of girls to a Travis Tritt concert in junior high! We thought we were so cool! Ha!! Taylor swift! She puts on an awesome concert. I would love to see Luke Bryan! I absolutely LOVE concerts and have been to many. Some of my faves have been Keith Urban, Alabama, and Aerosmith. Also, one of the best was Little Big Town at the Walton Arts Center. They were AMAZING and I’m looking forward to seeing them again this year at Riverfest. Jimmy Buffet with my dad when I was a kid. So much fun! My friend and I went to see Chicago in concert. Fantastic! We loved seeing Needtobreathe at the amp last year!! My favorite concert memory is in high school going to see the wallflowers with my best friend. We are still best friends 12 years later even though we do not get to see each other as often since we both have families of our own that keep us busy. Hoping to win these tickets so we can have another memorable concert to see together!! Meticalla….KCMO, 1993 and Bon Jovi……KCMO, 1987. My sister camped out overnight to get tickets to take our 3 girls to their first concert, Hannah Montana- special memories made! The very first concert I went to was Bon Jovi in the late 80’s. We thought we were so cool with our big hair and torn clothes. My husband and I waited too late to buy tickets to the very limited KC Garth Brooks show. To our suprise, he extended his visit there to 9 shows. Still didn’t know that. At the last moment we bought tickets from one of those online brokers, expecting to be sitting who knows where. Much to our complete suprise, we were stage left and about 15 feet from Trisha Yearwood when she rose up out of the stage! What a fun lucky evening and great show to boot! my all time favorite concert memory was seeing the Eagles at War Memorial Stadium my senior year of high school. Stood in line for hours for the tickets. It was my 18th bday present! My craziest memory of a concert was seeing NSYNC in Little Rock when I was a teenager. The screaming/crying girls was overwhelming. High energy and fun concert though! I haven’t been to many concerts…I would LOVE to see Luke Bryan!!! My husband and I have only been to one concert together and it was Zac Brown up on Mulberry Mountain. Even through Zac Brown sounded awesome once they finally started. It was cold, miserable, and definitely our worst experience yet. I would love the chance to make much better concert memories!! My first concert was Cindy Lauper. I crimped my hair and everything! One of my most memorable concerts was a John Mayer concert! I got horrible seats but… I fell in love all over again! He was so amazing! OH MY GOODNESS! I used to follow Lynard Skynard around the South. (Is my age showing?) And Fleetwood Mac! And I DID have the t-shirts! Concert? It’s been decades and I LOVE COUNTRY AND LOVE LUKE BRYAN! One of the best times I had at a concert was just a few years ago at the AMP in Fayetteville. It was actually Luke Bryan. I am a huge huge huge fan. I was 7 and a half months pregnant and I talked my sister in to going to the concert with me. I kind of over did it and ended up sitting in my seat halfway through because the baby was kicking me like crazy from jumping around. (I was still screaming a the top of my lungs though) I just can’t get enough of Luke Bryan. That baby is now 18 months and jams out to “Country Girl” on a regular basis. I would love to be able to go with my husband to see Luke again, and i’m pregnant again just a few months this time and can introduce the baby too good music right away!!! My last concert was Reba! Best concert ever! The best concert I’ve ever been to was U2 on the 360 tour, closely followed by Eric Clapton! WOuld love to go to this one! My favorite concert memory was during my freshman year of college when I traveled to Little Rock to see my favorite band at that time–Bush. I went with a group of girlfriends and we had a blast! Went to see Rick Springfield at the WAC last summer….he came out into the audience and I got to run my hand down his sweaty, muscular bicep! Haha!! It was great!! One of my favorite memories was seeing NSync in concert when I was in high school. I loved them so I was so excited to go. I think my fave was seeing Green Day or Tom Petty! For about 3 years, I saw Clay Walker every time he was at Billy Bob’s in Ft. Worth, TX. Each time was an awesome experience!! I don’t know which would be my favorite, probably George Strait. I used to go to several concerts, but haven’t been to one since my son was born, 18 yrs ago. I think it’s time to go to another! I would love to see Luke Bryan!! My favorite concert was the Justin Bieber concert with my daughters. Seeing the look on their faces was priceless!! The last concert I went to with my best friend was Kenny Chesney and the zac brown band. It was so much fun. We had seats on the floor and just being amongst those people was hilarious. It was such a great time. Just getting time to spend time with my bestie was the best. I loved the Kenny Chesney concert in Tulsa a few years ago! My first an fondest memory of a concert was 3rd grade when my mom took me I see New Kids on the Block. It waste best birthday gift ever! 20 yrs later I take my girls to see the Jonas Brothers and I called my mom and told her I was sorry that I knew how she felt now at the New Kids concert. Lol. But I loved every minute of both! I went to Spice Girls in High School and loved it!!! Van Halen when I was a senior in high school! My best friend & I were there & I guess the security guard thought we were cute b/c he escorted us straight down to the front row! So Awesome! One of my first real concerts was in 11th grade. I went with 5 of my friends and saw Tim McGraw. We went downstage and he actually touched my hand!! I have only been to really small concerts. I love Luke Bryan and would love to see him. Went to see The Band Perry last year at the AMP with Hubby for our anniversary. Had a great time as we had not been to a concert in years. That happens when you have 7 kiddos! Would love to go and see Luke Bryan! some of my favorite concert memories are the car rides getting there! I also remember seeing Billy Joel and Elton John in Little Rock when I was in college. I loved seeing The Eagles with friends in Little Rock. Recently, I loved seeing The Zac Brown Band in Little Rock with my husband. I would love to see Luke Bryan! One of my favorite concerts was Zac Brown Band at a Shareholders meeting! We can’t wait to go see them again! One of my favorite concerts memories is going to see Tim McGraw and Faith Hill together in concert. I love them both. ZZ TOP! High school in the ’80’s. What a concert! Thought we weren’t going to get to go because we had a snow and ice storm that year. But we made it and had a blast! I remember wearing my blue jean jacket. We thought we were so hot! LOL! My first concert to attend was Loverboy when I was in the 8th grade. I guess I just dated myself. I recently saw Van Halen for the second time since high school. My very first concert and the one I will always remember was Kenny Cheney. It was so exciting to be there! And I had a wonderful time with my most fun aunt. Crazy I know but the best concert I have ever been to was Veggie Tales Live! Maybe because my son enjoyed it soo much. When I was in my 20’s, I was a huge Ricky Van Shelton fan and used to travel all over the country to see his concerts. In three years, I saw over 200 shows and put more than 50,000 miles on my car just driving to shows. It was a lot of fun, and some great memories getting to know Ricky and his band and crew! My first concert was “like a Virgin Tour” Madonna 1984…I wanted to be up there so bad…I even cried..LOL best concert ever! Luke’s performed in Spring Break in Hartford and he always puts on an amazing show! Just snagged some front row tickets from Casatickets.com when he comes here this summer.Really like his music, but haven’t followed him much, hoping he puts on a good show!